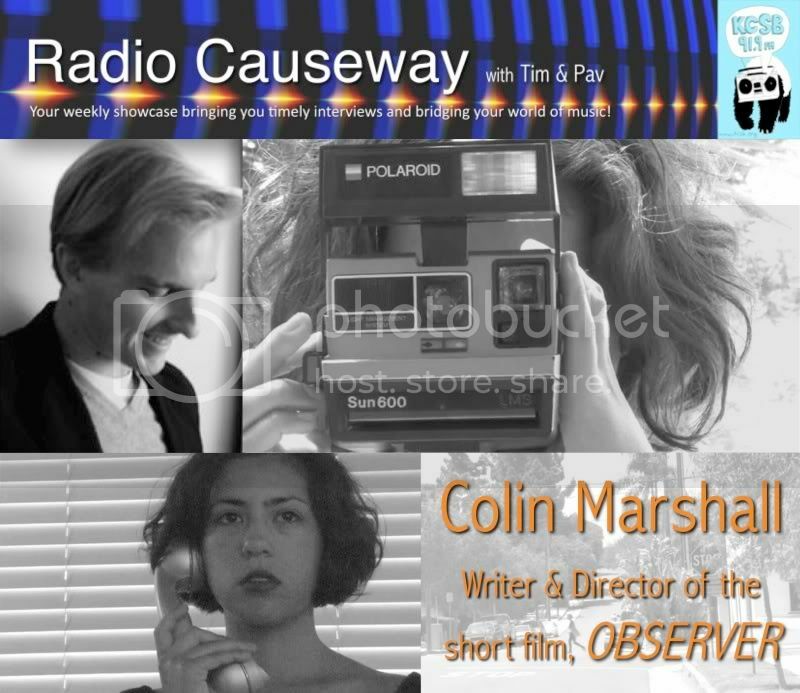 Writer and director of the new short film, Observer, Colin Marshall sits in on Radio Causeway and chats with Pav & Tim about his new film. Colin Marshall is also a columnist for the Santa Barbara Independent as well as the host of KCSB's The Marketplace of Ideas and Poodle Radio. Observer, the latest short film from Santa Barbara writer-director Colin Marshall, is study in sound, Polaroid photography, creeping unease, and the aesthetics of Southern California noir. Shot on a combination of high-definition video and Super 8 film entirely in Santa Barbara, Observer translates the divergent reactions of two friends to an inexplicable event into a ten-minute experimental audiovisual experience. The film stars Marley Taylor and Lyndsey Harrington, and was assistant-directed by Santa Barbara visual artist Madelaine Frezza, whose work is currently on display at the Contemporary Arts Forum. The show airs live each week on KCSB 91.9 FM in Santa Barbara and online at KCSB.ORG on Tuesday mornings at 9AM pst.